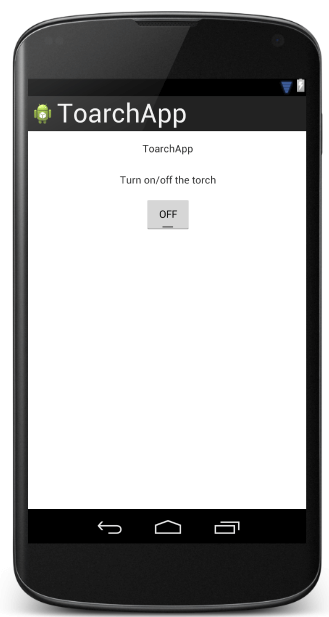 This post describes how to create a simple android torch app. 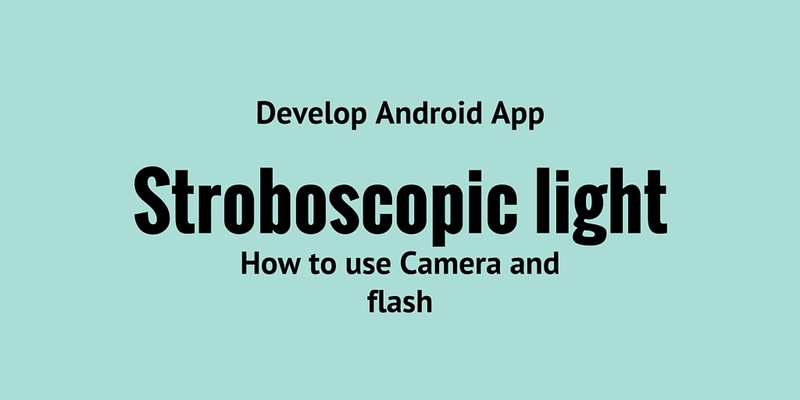 We develop an android app using Android Camera API. We will use Android Studio as IDE to develop the app. 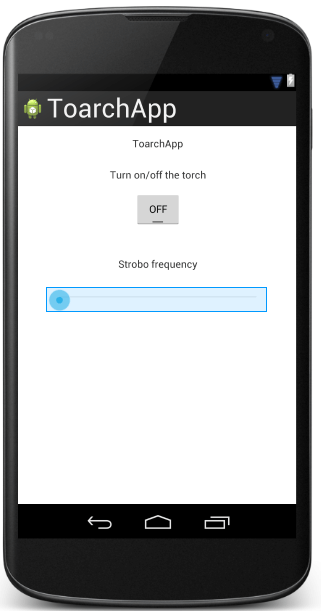 This app will not only use the flash light but we can implement a stroboscopic light too where the frequency can be changed. At line 7, we open the connection to the Camera and at line 8 we get the default parameters, we will use them later to turn the flash light on and off. At the end at line 9, we call startPreview() to start capturing preview frames. At line 3, we use the camera parameters to turn on and off the flash light using Camera.Parameters.FLASH_MODE_TORCH and Camera.Parameters.FLASH_MODE_OFF. The source code is available @ github. What would be the maximum frequency of strobing, and could any fine control of the frequency be implemented, I e. Synchronising with a timer to set an accurate flash rate? so if you downloaded it from github you should have this class. Consider that the app is developed using Android Studio. At the moment the app isn't production ready so it should be improved. One aspect that can be improved is the light frequency. You can use a timer to set the frequency with a finer control. It could be an idea of improvement. Thx for your support! 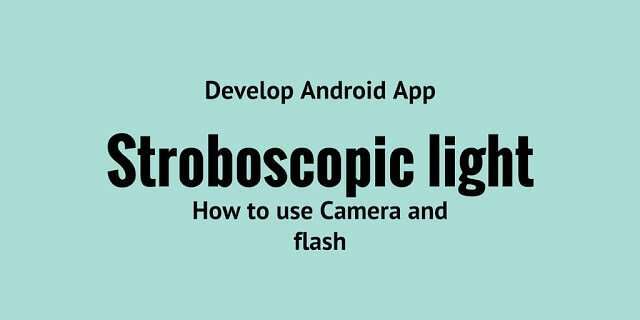 I have created a flashlight app 'Moto Torch' specially for Moto G with the help of this tutorial. I am not using complete code from this tutorial but some portion. Its working perfect on Android Kitkat. You can go to the link below and download this app. Can i use this tutorial code and release the app in play store? it works only when u flashlight off then its blink otherwise when u change value of seekbar on running before off it will not working ..